MANILA, Philippines - The 43rd edition of the Metro Manila Film Festival (MMFF) had been hailed a success in terms of box-office performance. All eight entries - All of You, Ang Larawan, Deadma Walking, Haunted Forest, Meant to Beh, Ang Panday, Siargao, and Gandarrapiddo: The Revenger Squad - were well accepted by the Filipino audience. 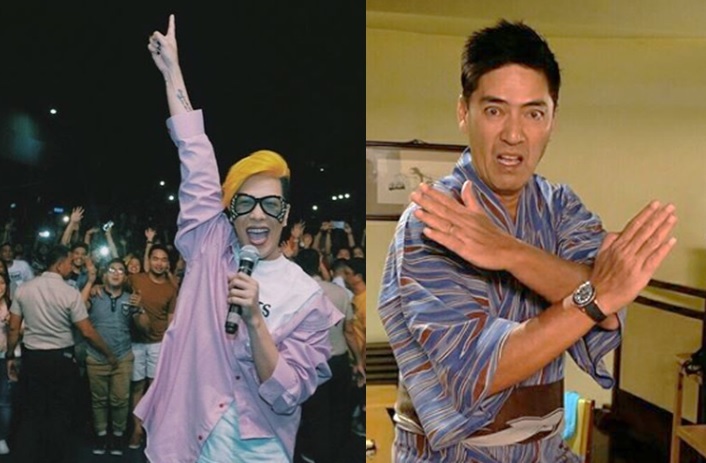 Vice Ganda stars 'Gandarrapiddo: The Revenger Squad' and Vic Sotto stars 'Meant to Beh'. On January 17, the MMFF Executive Committee (ExeCom) had a thanksgiving party as they happily announced that they had passed the P1 billion mark, with the highest gross on the first and second day of the festival. In addition, the top 4 highest-grossing films in the MMFF 2017 were also revealed. The other four remaining entries still earned pretty good. All were able to reach more than P30 million, which is the highest in the recent MMFF history. The ExeCom had withheld announcing the box-office rankings of the films during the festival run, saying such a list might affect audience preference. All eight MMFF entries have already earned a total of P1.5 billion in gross sales. But the amount is still growing as some entries are still being shown in cinemas. Bing Advincula, Vice-chairman of the MMFF selection committee also confirmed that most of the sales came from the top 1 and 2 entries, "Sixty percent of the total box-office gross came from The Revenger Squad and Ang Panday." The top 1 entry, The Revenger Squad had already earned P540 million as of January 9. While some were surprised that Vic Sotto’s Meant to Beh didn’t make the cut in the list of top grossing films.